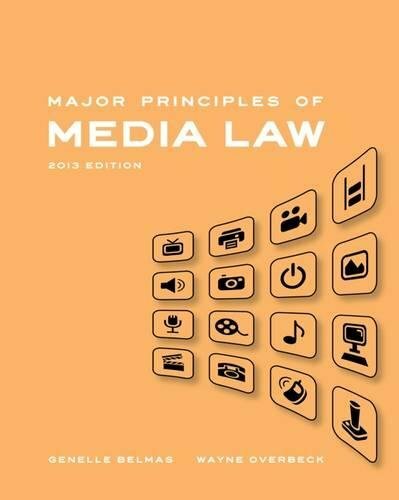 MAJOR PRINCIPLES OF MEDIA LAW is a comprehensive and current summary of media law. The text is revised every year to include the most recent developments in communication law through the end of the Supreme Court's term. Each August, a new edition is available for fall classes, with recent developments through July 1 fully integrated into the text, not added as an appendix or separate supplement. If you have any questions about this product by Wadsworth Publishing, contact us by completing and submitting the form below. If you are looking for a specif part number, please include it with your message.